Please note that these are recent gimmick changes that have occurred in the last few months or so. The 23-year-old piece of gold or The Man of the Hour, Lio Rush, has been making a name for himself over on the purple brand. But, before his arrival to the Cruiserweight Division, Rush found himself in hot water after he made a joke on Twitter about former WWE wrestler, Emma soon after she was released from the company. The tweet was met with heavy criticism backstage and even resulted in Rush being pulled from a lot of NXT events. Fast forward to today, his new gimmick of a young, rich and cocky competitor is a refreshing addition to the 205-Live roster. He’s confident on the mic and in the ring, he’s so quick. I don’t fancy playing catch me if you can with this guy. Sooner or later we will all be feeling “the rush”. When The B-Team picked up their first win, we were all just as surprised as they were. But, as goofy as they may be, you can’t deny the success that The B-Team has been having lately. Curtis Axel and Bo Dallas went from being beaten-up pretty much every week as The Miztourage to now being undefeated as The B-Team. It may be hard to take them seriously with hilarious segments like The B-Team Memorial Day Tag Team Barbecue… which Rhyno approved of… and them mocking the Deleters of Worlds, especially Bo Dallas’ impression of his brother, but when it comes down to the actual business in the ring, The B-Team gel together as a tag team and they now have the RAW tag team championships to prove it. What day is it? It’s Rusev Day! 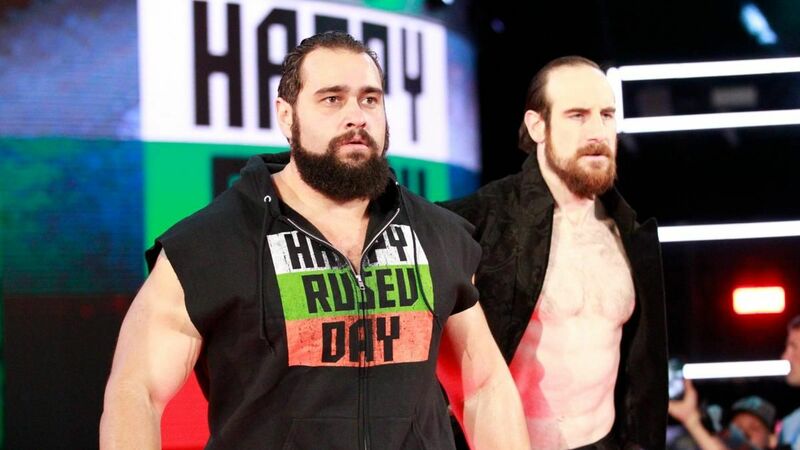 Rusev has become one of the most popular wrestlers in the WWE today and his unusual partnership with Aiden English works so well. Whether his “Rusev Day” gimmick is working out great can be argued both ways as it’s great in terms of him getting over with the crowd but as far as championship accomplishments, that’s a different story. However, with that said, The Bulgarian Brute has had some opportunities come his way, including shots at the SmackDown Live Tag Team championships, the United States championship and even the WWE Championship for the first time in his career, which he was elated for. Though, sadly all were losing efforts. Hopefully, Rusev’s time will eventually come but whatever day that may be, just remember that every day is Rusev Day. After being defeated in a match against the Consumer of Terrestrial Entities that is Bray Wyatt, Matt Hardy was woken, and it was WONDERFUL! The wait was finally OVER, and we got the broken gimmick that we all loved during Hardy’s days in the Wrestling of Impact. When you think of gimmick changes that are working out great, Matt Hardy’s broken gimmick is a prime example of just that as his character work and creativity is sheer brilliance or broken brilliance, as he would say. As his woken character, Hardy has found some success, winning the André The Giant Memorial Battle Royale at WrestleMania 34 as well as the RAW tag team championships with Bray Wyatt as the Deleters of Worlds. And how could we forget the DELIGHTFUL Ultimate Deletion match between Matt Hardy and Bray Wyatt, which was a masterpiece and deserving of a woken ovation. If you somehow don’t think that Hardy’s broken gimmick is WONDERFUL, then I’m afraid I’m going to sentence you to DELETION! 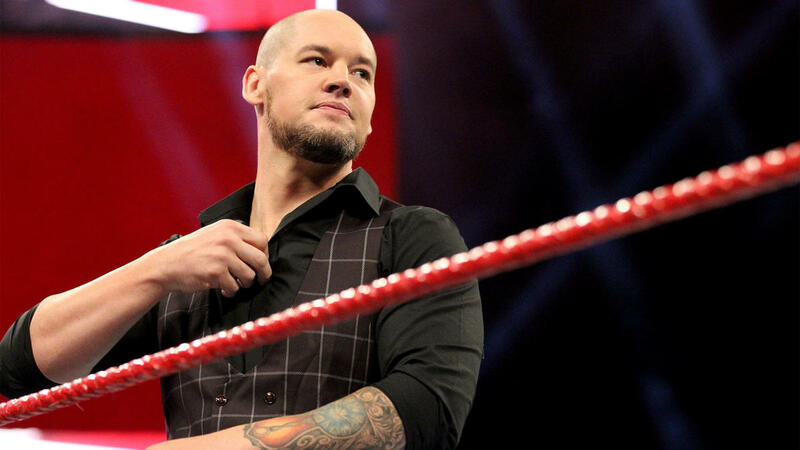 Baron Corbin’s transformation to Agent 47… c’mon, am I the only one who sees this? Before Corbin was appointed “Constable of RAW”, he spent a brief time as the United States Champion and he was a former Mr. Money in the Bank… something he probably wants to forget about… but nothing else was really going for him. Now that he’s Stephanie McMahon’s personal representative, or Stephanie McMahon’s stooge as Bálor would say, things have gotten a lot more interesting. It’s amazing how much shaving one’s hair off can do to improve one’s character. I guess there will be no more hairline jokes now, it finally met its “End of Days”. Founder, editor and writer. That's pretty much it.